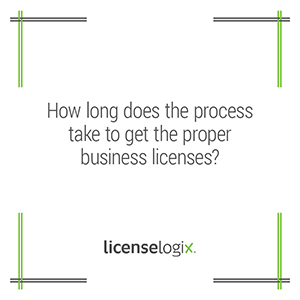 The length of time to obtain the proper license is partially dependent on the licensing jurisdiction. LicenseLogix streamlines the process for businesses so that your application is filed faster and is properly completed. Many licensing jurisdictions will completely reject an application with any errors or missing supporting documents.